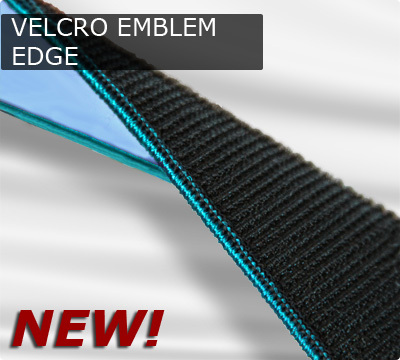 The Merrow MG-3U Hook&Loop sews an emblem edge on Hook&Loop patches at high speed. 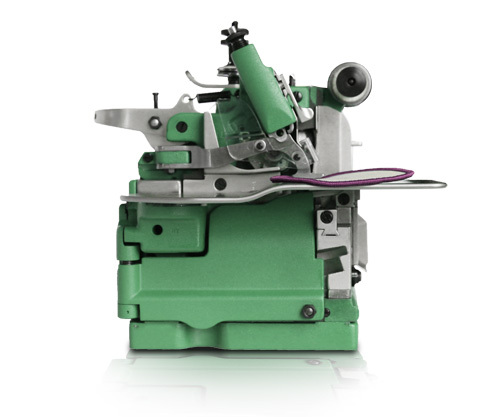 The MG-3U Hook&Loop sews without taking up any of the Hook&Loop backing, ensuring the integrity of the stitch as well as the adhesiveness of the patch. 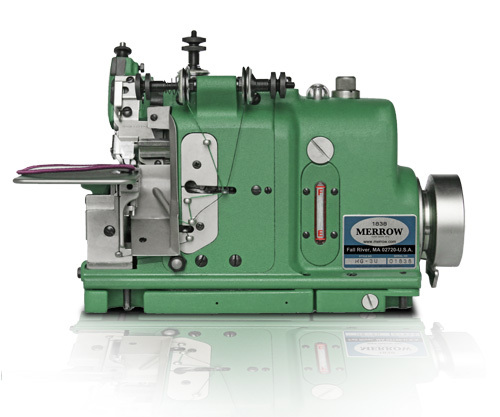 The Merrow MG-3U Hook&Loop is a 3-thread industrial sewing machine that is ideal for putting edges on Hook&Loop emblems and patches. It makes a 1/8" to 3/16" stitch at a standard rate of 28 SPI (though this can be decreased or increased to 20 or 40 SPI respectively), yet even while running at 5500 RPM still operates under 90 dbA. The MG-3U-V has proved increasingly popular as organizations (like the U.S. Military) have moved to badges and insignias. The MG-3U-V will not take up any of the hook or loop backing, ensuring that the Hook&Loop properly adheres to itself. 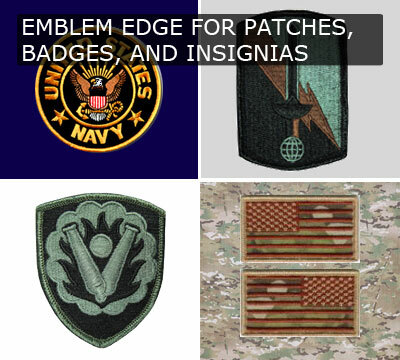 Hook&Loop patches and emblems are especially likely to detach at the edges, a problem that is eliminated with the MG-3U-V. In addition, by not sewing over the hook or loops the MG-3U-V stitch remains uniform and consistent over the extent of the patch edge. 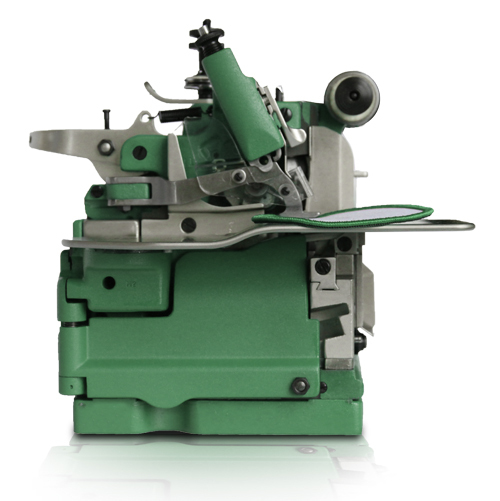 The MG-3U Hook&Loop uses lightweight moving parts and needle bearings that are manufactured to extremely high tolerances, permitting the fast and smooth starts and stops inherent in intermittent operations like emblem edging. As a result, sewing edges on an MG-3U Hook&Loop assures a uniformly finished, unmatched stitch. 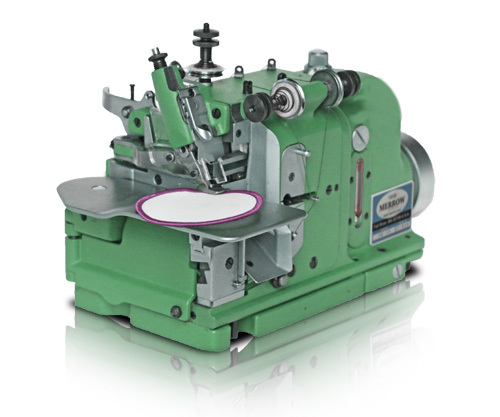 The MG-3U Hook&Loop is a versatile industrial machine that will satisfy the needs of the local emblem shop to the factory producing thousands of patches per day. 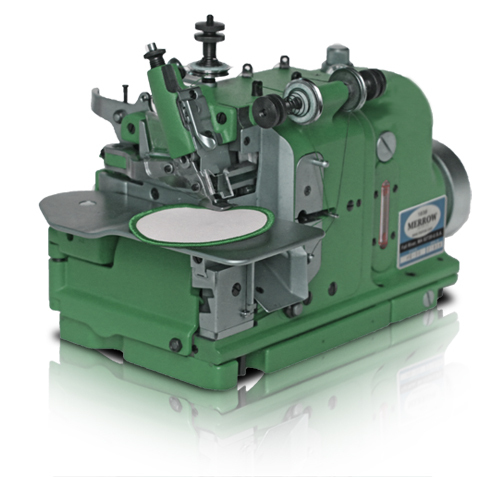 We will build out a custom machine, at no charge, and sew your material off on the MG-3UV (or other machine if appropriate). If you would like a video of the process we will provide this along with the sewn sample.